My latest Where Are You Now, Campus Radical? profile is of Quentin Jukes, a long time colleague of Green MP, Sue Bradford. Quentin Jukes was active in student politics at Waikato Uni in the early '80s. Jukes studied Social Sciences and was on the Waikato Students Union executive in 1982/83. In 1985 he was Vice President of the NZ University Students Association, one of several Workers Communist League members active in that body. After Palmerston North, Jukes moved to Wellington where he worked with the Wellington Unemployed Workers Union. By 1990, Jukes was president of WUWU, a joint WCL/Socialist Unity Party operation. Jukes was heavily into demos. On May 7th he protested outside Parliament over benefit cuts and on July 10th was WUWU leader at a sit-in at the Business Roundtable HQ in Wellington. Through the early '90s, Jukes worked for the Wellington Poeople's Resource. Like Sue Bradford's Auckland Peoples Centre, the WPRC was dominated by former members of the Workers Communist League.. In 1993, he was a member, with Sue Bradford of the National Organising Group for the Peoples Assembly/ Building Our Own Futures Project. This organisation was run by an alliance of former WCL members and Marxist Catholics. In March 1994, Jukes was arrested for trespass at the Reserve Bank, Wellington with Sue Bradford and 10 others. They were protesting that the Reserve Bank should be helping solve the unemployment problem. Jukes was a spokesman for the Aotearoa Network of Unemployed and Beneficiaries. 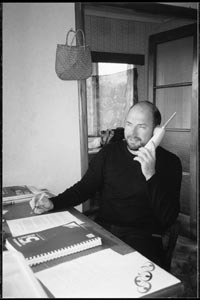 In 1995 Jukes was on the organising committee for the Activism in Aoteoroa Workshops to be held at Moores Valley, Wellington, in January 1996. These were run largely by ex WCL types and were basically a training camps for young radicals. Training covered everything from banner making to publishing propaganda, public speaking and revolutionary music. By 1997, Jukes was Community Development Adviser-Youth, with the Wellington City Council. Jukes was employed to co-ordinate a nationwide "social audit". Funding came from the Tindall Foundation, the Department of Internal Affairs and the Department of Labour's Community Employment Group-later famous for funding "Hip Hop" tours. In 2003, Jukes was traveling under the auspices of the Wellsford based, Kotare Trust (of which Sue Bradford was vice-chairman)advising people on how to claim more benefits from the taxpayer. According to the Gisborne Herald "More than 1000 Gisborne residents could be missing out on special benefits worth $5 to $50 a week, a workshop was told on Monday. Advocate for special benefits, Quentin Jukes conducted the workshop to educate Tairawhiti community workers about the Winz payments. Using October 2002 figures supplied by the Ministry of Social Development, Mr Jukes said the Gisborne and Kaiti Winz offices had 5174 residents registered and of those 1212 had apparent eligibility for special benefits. However, only 19 were receiving the extra payments. "There are circumstances where people facing hardship are entitled to extra payments and Winz officers should advise people how to apply for the special benefits," said Mr Jukes, who was brought to Tairawhiti by Kotare Trust and Oho Ake"
Currently, Quentin Jukes runs Homebuilders Family Services in Warkworth, north of Auckland. He continues to work closely with Sue and Bill Bradford on fostering "social change".